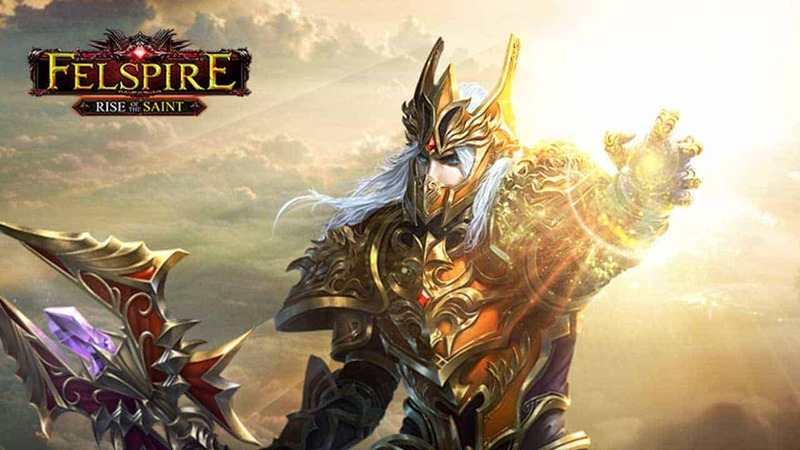 Felspire, the fast-paced browser ARPG today, April 1st,, unveils its upcoming expansion — Raise of Saint, featuring a new class, the Saint, who has his own unique battle companion, fighting skills and is considered the King of PvP. The expansion will go live in the first half of April, and the login event with gift packs is ready now for players. Emeros has witnessed countless heroes and dark creatures clash over control of the lands. From the battlefield a new hero has arisen, the Saint, who stands for justice and light. Possessing his own set of unique skills and armor, the Saint is ever ready to ride into battle upon his loyal mount, which also has the ability to attack while in battle. The Skyhawk, the loyal companion of the Saint since his childhood, can unleash a fatal thunder attack to strike down the Saint’s enemies. The Saint, the best Skyhawk trainer, can use certain skills to increase the combat power of his Skyhawk and mold it into a force to be reckoned with. As the off-hand weapon of the Saint, Skyhawk can be upgraded and acquire skills upon reaching certain levels. The login event for the upcoming Felspire Expansion has just kicked off. Players can easily login to the event page and sign up, an extravagant gift pack will be sent to your mail for better enjoying the lands of Felspire. Sign up here!